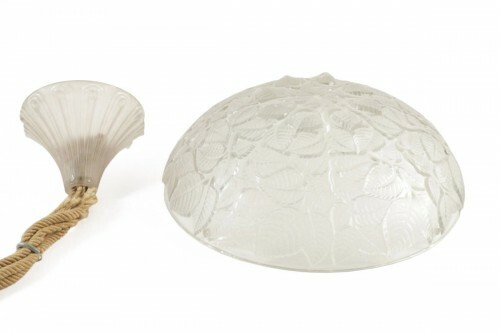 René Lalique (1860-1945) - Ceiling lamp "Charmes"
The term ‘chandelier’ emerged during the eighteenth century. 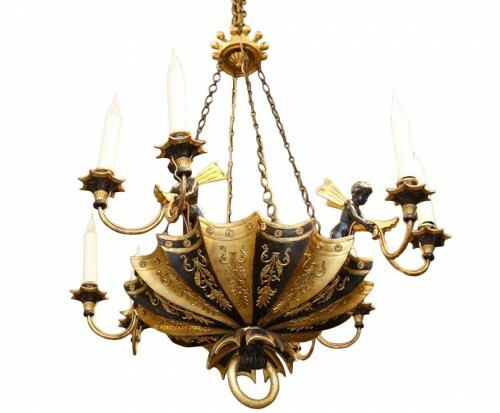 However, lighting suspended from the ceiling had existed since the fourteenth century. 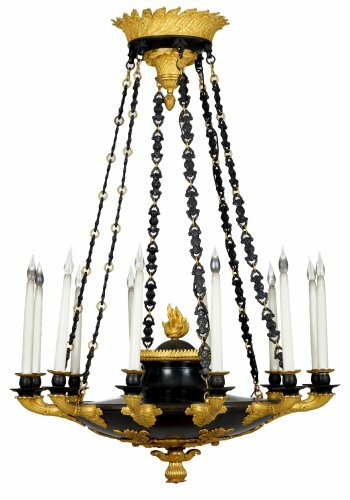 Made in wood and fitted with a chain and winch to make it accessible, it provided interior lighting in churches and châteaux. 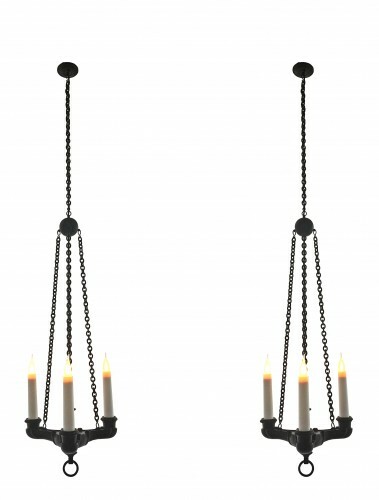 The idea was to create multiple lighting points to increase interior lighting. 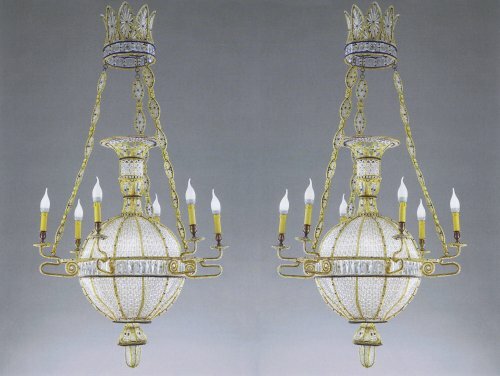 Initially functional, the chandeliers gradually acquired a decorative value of their own. 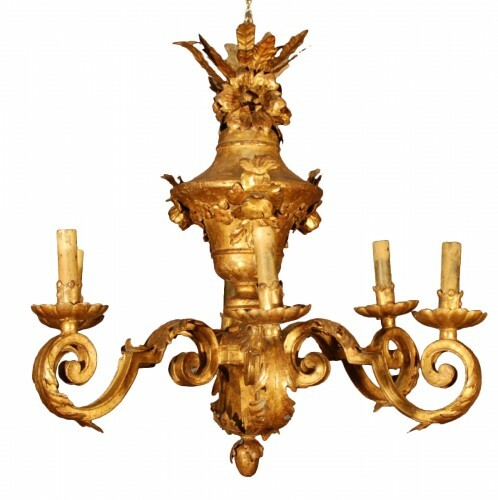 Over the years, wood, which is difficult to maintain, has been replaced by metal (brass, bronze, or forged iron). 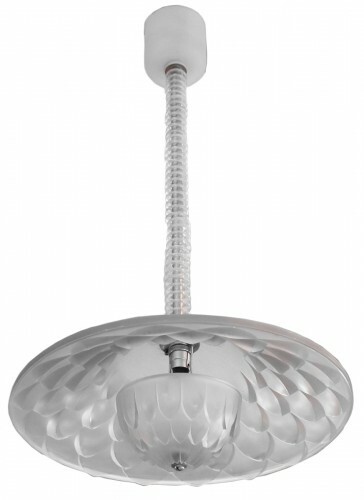 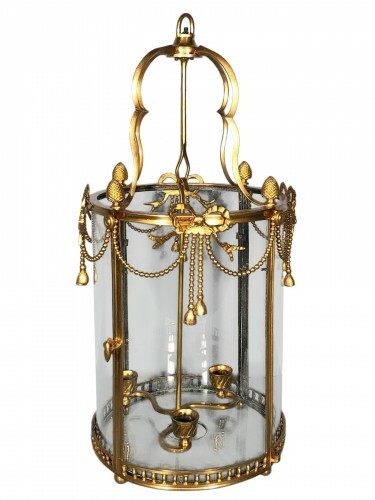 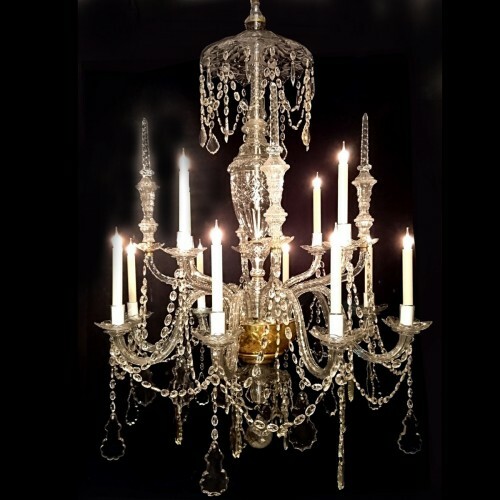 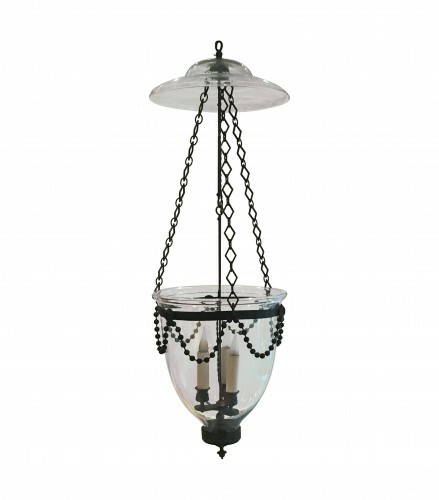 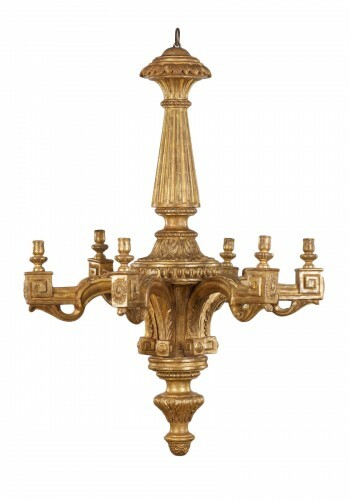 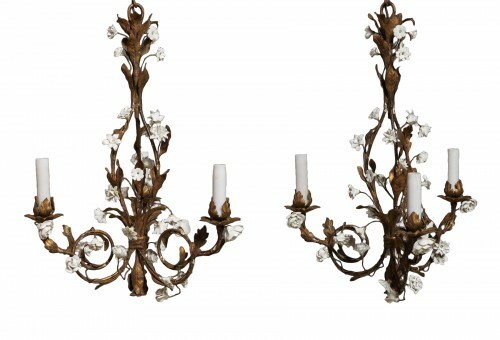 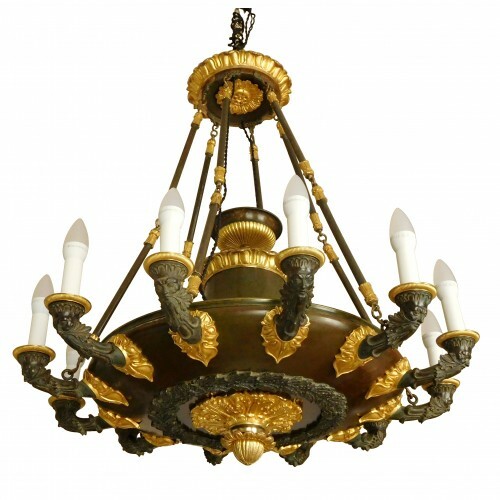 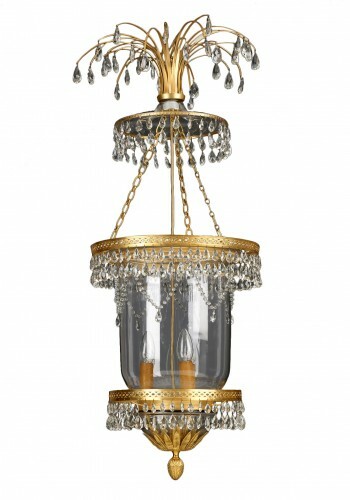 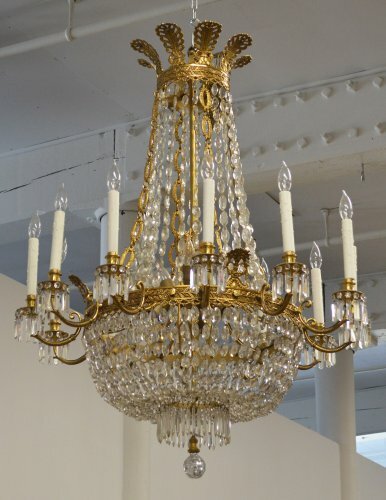 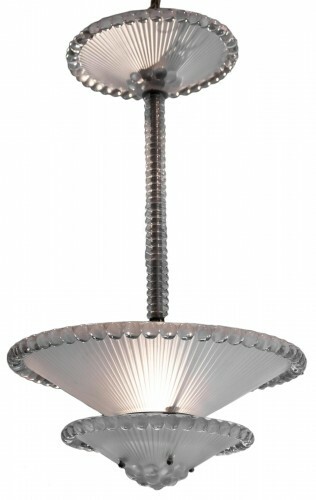 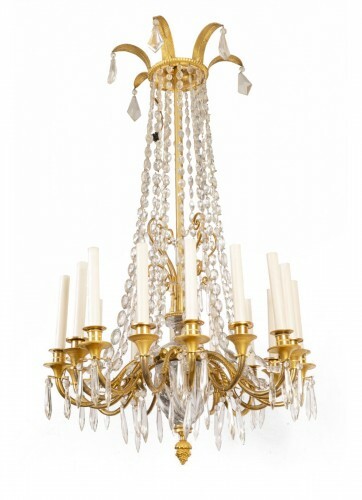 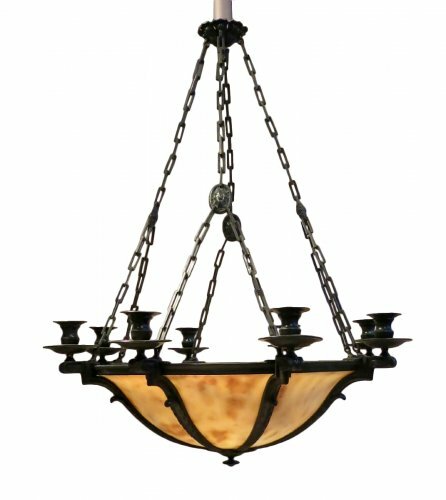 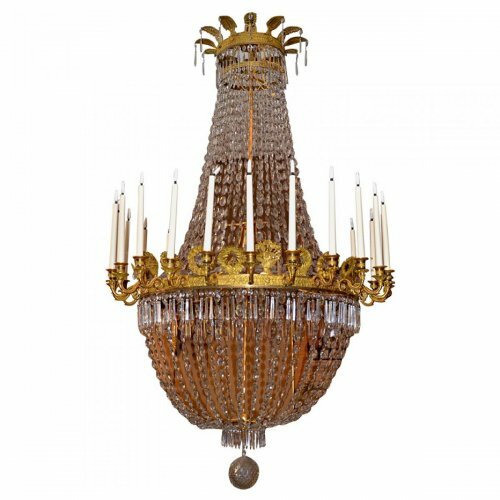 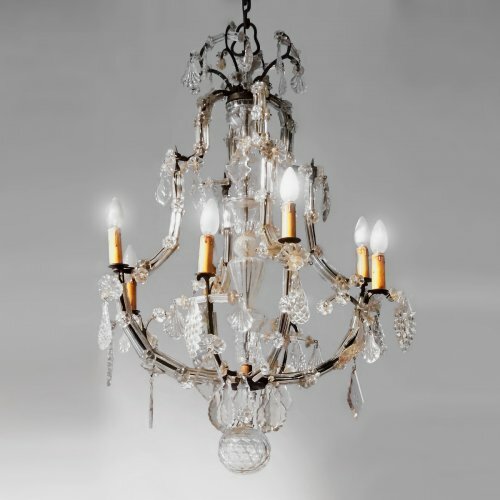 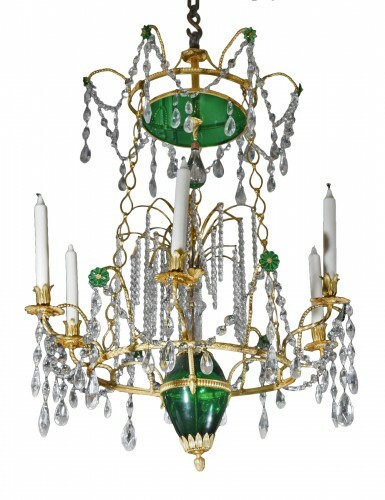 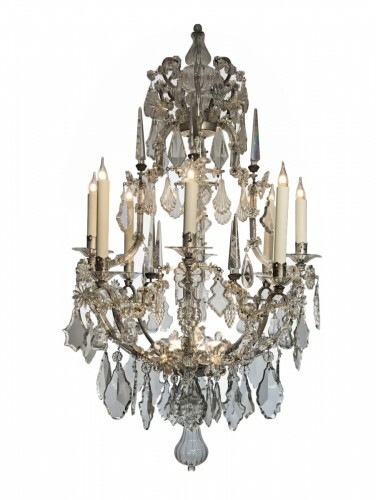 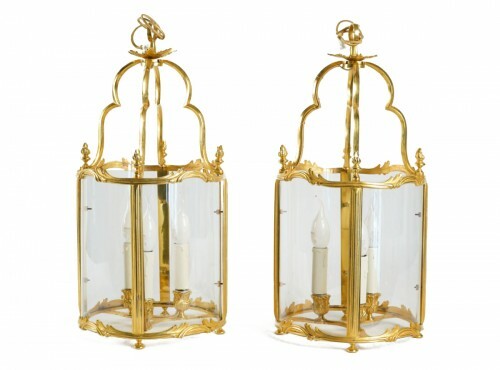 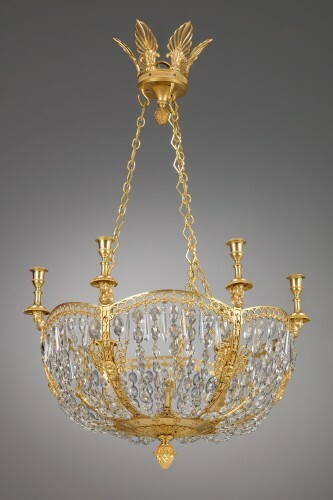 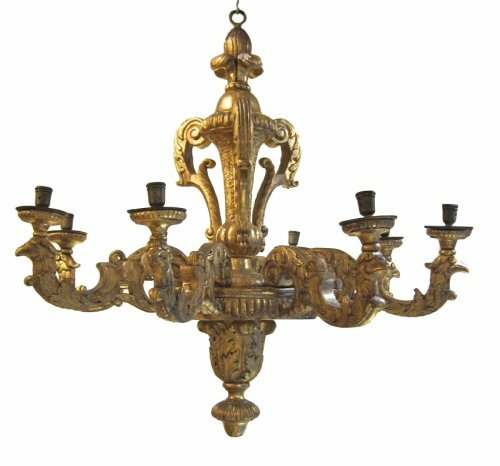 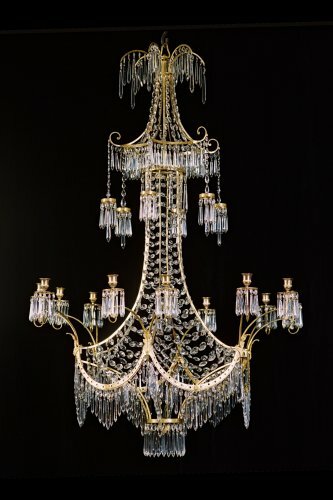 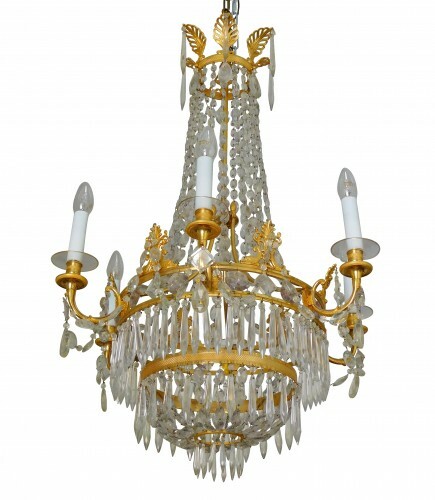 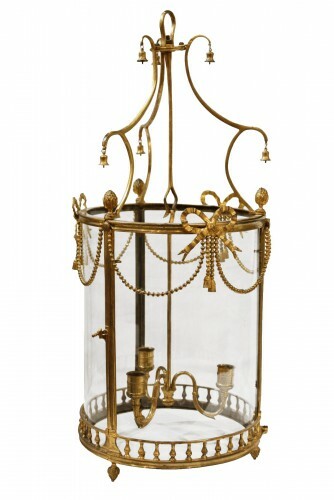 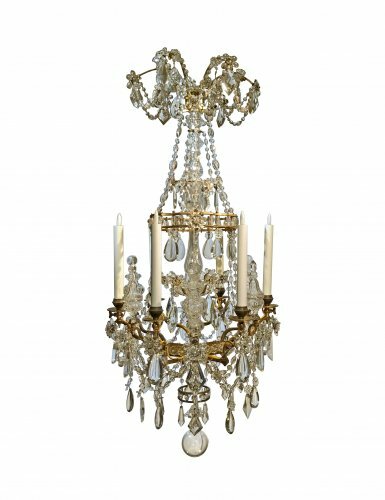 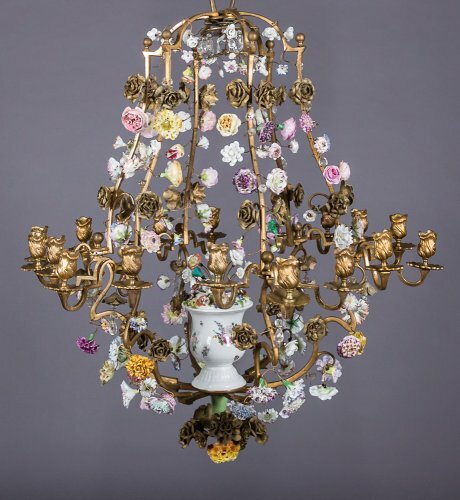 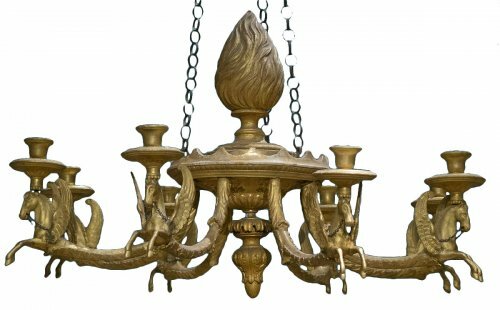 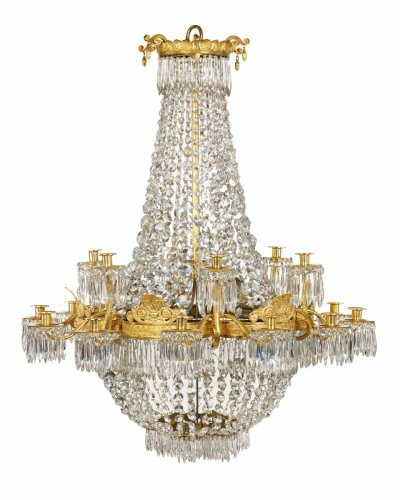 In the the eighteenth century, the chandelier with pendants was introduced in Italy. 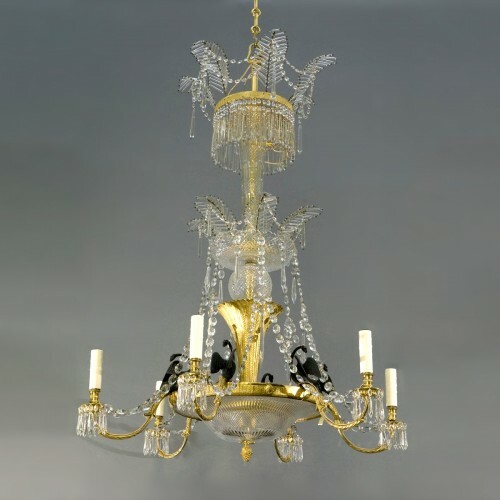 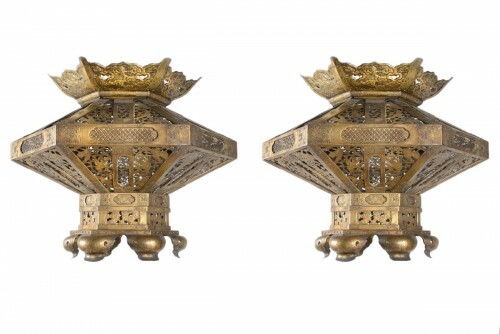 Its ornamental elements made it possible to increase the number of luminous reflections. 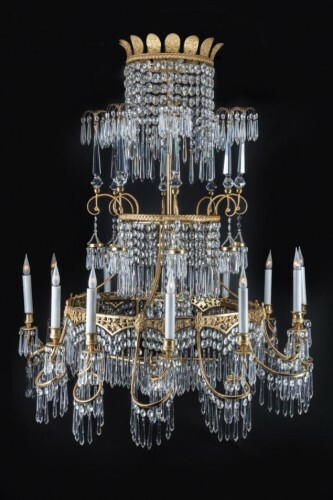 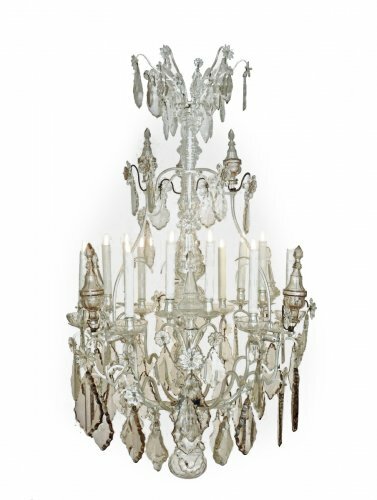 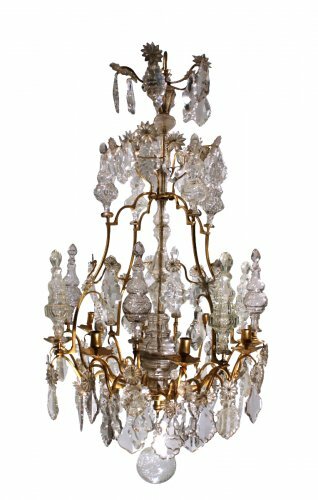 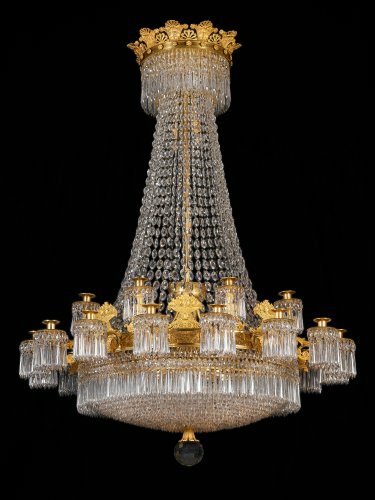 As of the 1720s, chandeliers were entirely ornamented with crystal made in Bohemia.